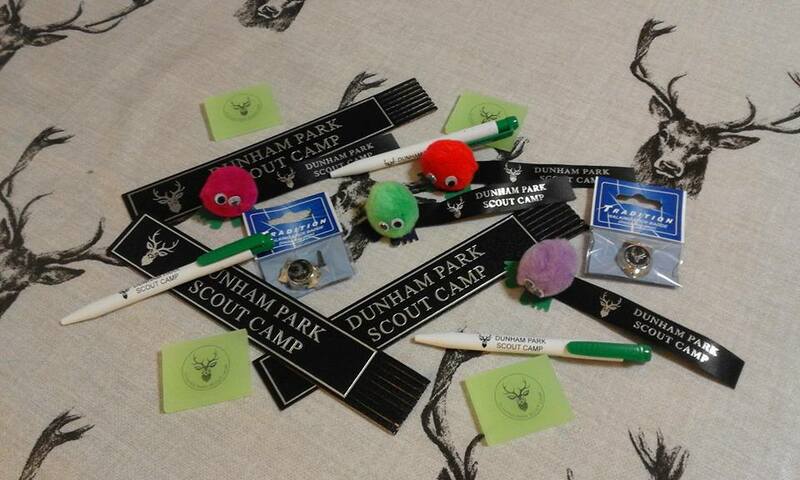 Our shop is well stocked with drinks, chocolate, sweets, toys and a variety of new Dunham Park Scout Camp sourvenies. In the summer months we also stock jubblies and icepops, perfect for cooling your down and at Halloween and Christmas, we stock seasonal products too. The shop is front with window displays showcasing our products even when the shop is closed. The shop can be opened on request by speaking to the Duty Warden. We have a large open barn situated next to the Frank Harrop Lodge. The barn has a concrete floor and has lighting for use in the evening. The barn is for communal use for the whole campsite and is suitable as a wet weather provision for campers. The campfire circle is located across the main activity field. 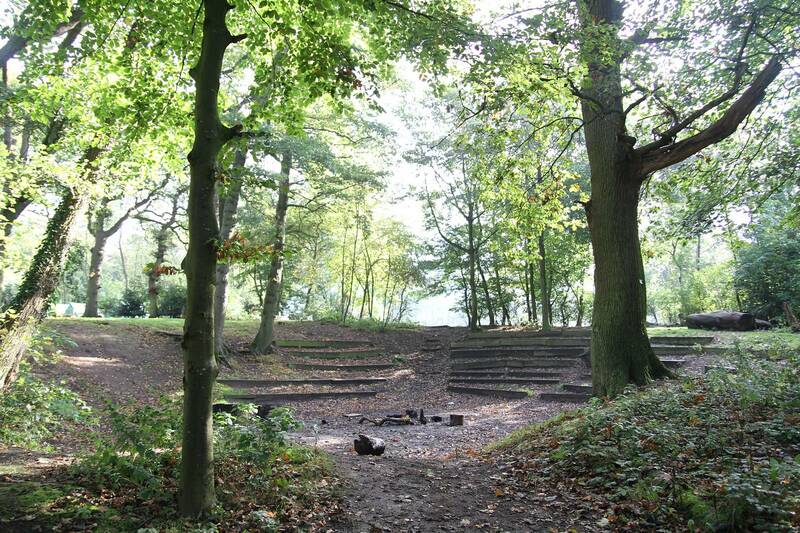 Groups are welcome to use this area for their own campfires, however this space is communal and it would be great where possible to get all visitors involved when running a campfire. We ask that you use the cage for building your fire in and that any excess wood and ashes are cleared after use. Ashes should be left to cool and be disposed of in the general waste bin. The block is located at the camp centre, close by to the shop, Warden’s Building, Frank Harrop Lodge and Blanshard Cabin. There are four separate areas in the block each with their own entrance, boys, girls, adult males and adult females. Each areas has a number of toilets, sinks and showering facilities. In the entrance to the Warden’s Building is a first aid kit, eye wash station, defibrillator and medicine fridge (key available on request). All accidents on site should be reported to the Duty Warden, who should also be alerted should the emergency services need to attend the site for any reason. The main general waste and recycling bins are located to the rear of the toilet block. 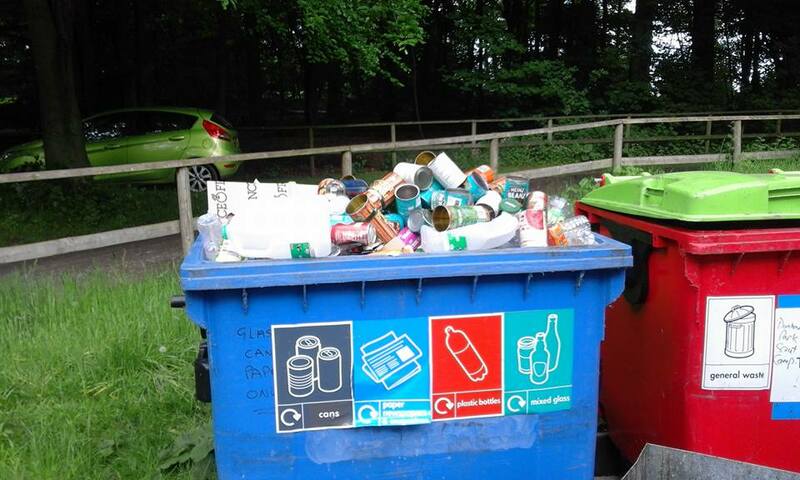 We encourage where possible that our visitors recycle any glass, cans, plastics and paper in the correct bins. There is also numerous smaller recycling centres and bins located outside the Frank Harrop Lodge, Warden’s Building, Shop and Blanshard Cabin (these should not be usaed for large amounts of waste and recycling from campsites). We have a wood pile located at the top end of the activity field by the main campsite and toilet/shower block. Visitors are welcome to use wood from the pile in addition to any wood they find on the ground around the site. All excess wood should be returned here at the end of your stay. 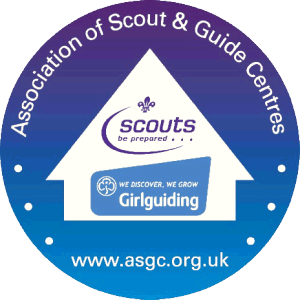 Please be careful when going into the woodpile as there could be nails on the group or in wood, young people should be accompanied by an adult and everyone should be wearing suitable footwear. There are a number of alter fire stands and half barrels located at the entrance to the wood pile. These should be returned at the end of your stay and all ashes should be allowed to cool and placed in the general waste bin. Please be considerate of other people when taking several alter fire stands and half barrels.